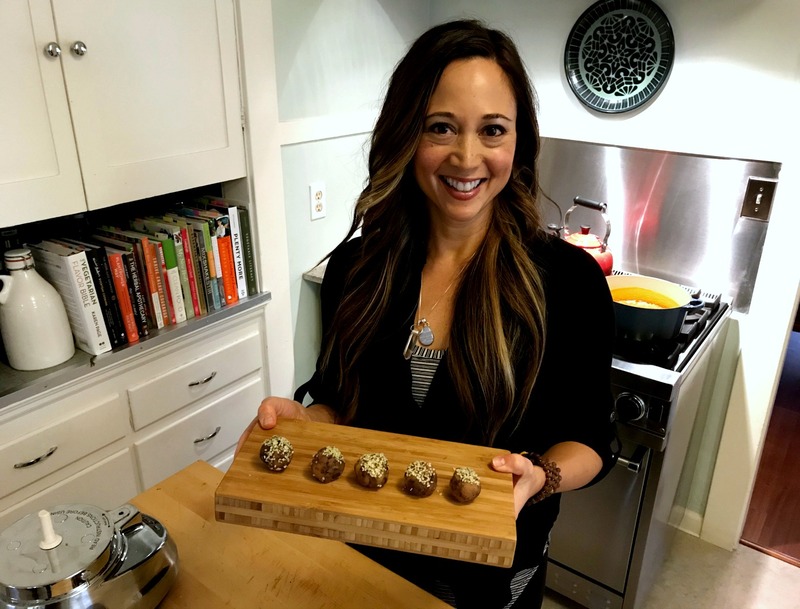 My latest video features some tasty No-Bake Almond Butter Chickpea Energy Bites — check out the video below as I make this no-bake recipe step-by-step. Can we talk about snacks? A lot of commercially made snacks just aren’t that healthy. I basically wouldn’t recommend any of them for every day use. Sure, some snacks are better than others — and these are the ones I recommend for packing on an airplane or road trip — but for the most part, homemade wins. Here’s the problem with most snack foods: they may be marketed as “whole grain” or “high protein,” but when you start looking at the ingredient list, you might see a whole lot of ingredients that are either unrecognizable as real food, or are downright unhealthy (additives, gums, starches, “natural” flavorings, high tech sweeteners, etc.). So here’s what I recommend: try making these energy bites. They’re really simple — no baking required! And they’re super family-friendly — I mean, who doesn’t love chocolate chips and almond butter? These No-Bake Almond Butter Chickpea Energy Bites are also highly portable — tuck them into your kiddos’ lunch boxes, or put a couple in your gym bag for a post-workout snack. After you make a batch, you can just store them in the freezer until you’re ready to enjoy them. Just let them thaw out a few minutes before you eat them. These energy bites are loaded with protein from the almond butter, as well as our super sneaky ingredient of the day: chickpeas, a.k.a. garbanzo beans. Let’s talk about those chickpeas. I’m sure you’re probably wondering why I decided to include them in this recipe. 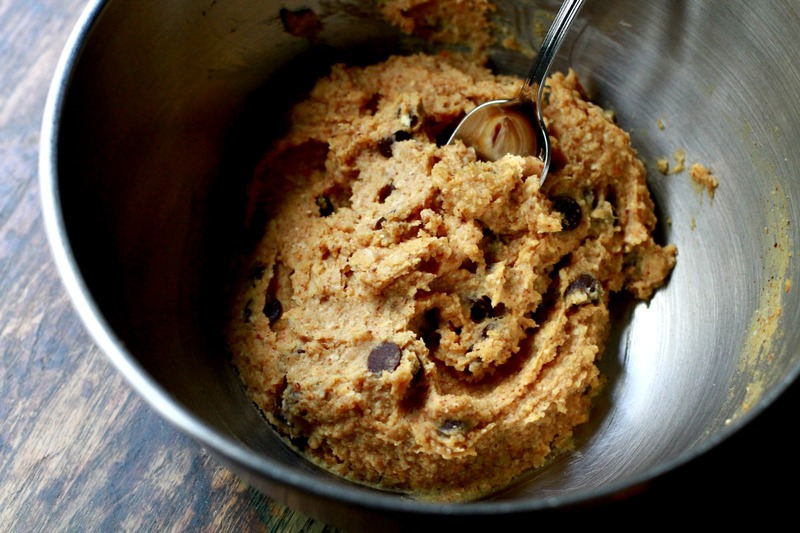 Especially since we’re not making hummus, and we’re blending them into what is essentially a raw cookie dough. I know you might need some convincing and coaxing here. 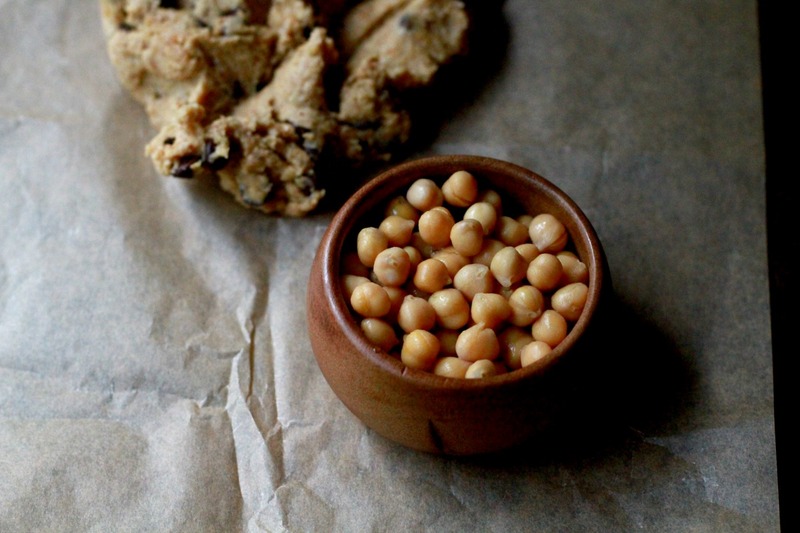 Bottom line: chickpeas are amazing! Are you still a little freaked out by putting beans in this recipe? No worries — they’re very mild in flavor, and after they’re buzzed down in the food processor, you won’t even know they’re there. Promise. So let’s get to it. Ready to try the recipe? You’ll find it by clicking on the green box below. And remember to tag me on Instagram if you try the recipe. I’d love to hear from you! 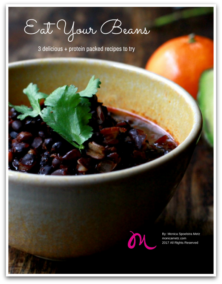 Interested in getting more beans into your diet? Recipe #3 — Cannelini Bean Salad with Tomatoes, Olives and Basil. Delicious for picnics and parties! All of the recipes are plant-based, gluten-free, and dairy-free. I hope you find them as delicious as I do! Please click here to download the freebie.